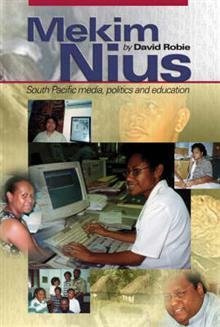 The book draws on interviews with 57 Pacific journalists, educators and media policy makers and two newsroom surveys in Fiji and PNG as well as the authors personal experience as a Pacific media educator for almost a decade. Robie argues "journalists need to be provided with crit... read full description below. The book draws on interviews with 57 Pacific journalists, educators and media policy makers and two newsroom surveys in Fiji and PNG as well as the authors personal experience as a Pacific media educator for almost a decade. Robie argues "journalists need to be provided with critical studies, ethical and contextual knowledge matching technical skills to be effective communicators and political mediators with the PacificOs Onew regionalismO. "